The United Nation's children's agency has said it has reports that 30 children have been shot dead by gunfire in the clampdown on Syria's opposition protests over the last number of months. The UN Children's Fund (UNICEF) has also raised concerns about children who have been detained and tortured. The amnesty covers 'all members of political movements, including the Muslim Brotherhood'. 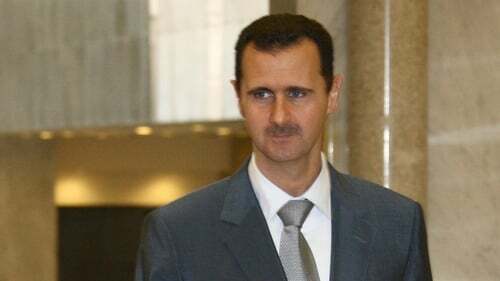 Membership of the Brotherhood, which led an armed uprising against Assad's father in 1982, is punishable by death in Syria. Assad's move was the latest in a series of reforms -- including lifting a 48-year state of emergency and granting citizenship to stateless Kurds in eastern Syria -- aimed at addressing grievances of protesters. Meanwhile, US Secretary of State Hillary Clinton has said that Syrian President Bashar al-Assad is not engaging seriously in reform and the position of his government is becoming 'less tenable' every day. Elsewhere, Syria's exiled opposition met to close ranks and forge a plan for a democratic Syria, in the first official gathering of activists since an uprising against Baathist rule erupted 10 weeks ago.